This has been a long time coming. After years of back-and-forth emails full of awkward diagrams and sanitized anatomy references, the boxer briefs I designed in collaboration with Wool & Prince have finally arrived! And let me tell you, after a decade of digging around all over the place for something even halfway decent, the satisfaction of seeing these come to life has been great. I wanted some merino underwear––or really any underwear, to be honest, that fit me exactly right. But even with a million different options, most of them just ended up in the trash. They’d have front pouches that couldn’t keep anything in place, legs that would climb up, and a seam layout that made no sense at all, if you know what I mean. Even worse, I felt like I knew how to do it right––and figured someone, somewhere, had already done it. Well, they didn’t. I went through a few dozen different brands over the years before I finally gave up and started bugging Wool & Prince to just make it for me. We talked about all the different options out there, going over what worked and what didn’t, before we finally just met up for coffee, dumped a bag full of underwear out on the table like a bunch of weirdos, and got to work. And I kid you not––the day these arrived, I put them on in the morning, and didn’t rearrange them even once by the time I went to bed. They are that good. You won’t really notice a whole lot going on at first glance––just a 3D front panel on a classic boxer brief layout, and that’s about it. Good fashion sense never goes out of style. The front pouch is also narrower than on the original design, providing a proper surround. You’ll hear guys talking about support when it comes to boxer briefs, but it doesn’t make any sense. You really want to be surrounded. If the contents of the front pouch ever make it into the leg chamber, you’ll start chafing. Surrounding everything on all sides is critical to keeping everything in place, and narrow side-to-side containment, when combined with a 3D front pouch, does it the best. What’s up with those lines going in different directions? And who even knew fabric had little lines like that anyway?! Grab a t-shirt, and stretch it around. You’ll notice it stretches horizontally by quite a lot, but vertically? Just a bit. Same with most underwear. They can accommodate wider hips, which is great and all, but then…spelling doom for boxer briefs everywhere…you’ll take a step, and those legs will just shoot right up. Every time you squat, lunge, climb a stair, or even just sit down, the horizontally-stretchy fabric is pulled vertically, beyond its capacity to handle the distance, forcing it upwards and requiring constant rearranging all day long, driving you slowly insane and taking years off your life. I’ve seen a few solutions: extra-long legs, or fabric with a super-high spandex content. But they either look a little funny, or feel like a rubber band. But what if we just…and stick with me on this…rotate the fabric? All day comfort. No downside. With the super-stretch now going vertically, those leg chambers can stretch up to double their length, meaning they don’t move up at all. Even better, the horizontal stretch is minimized, so they hug the legs much more closely, instead of loosening up over time. It works beautifully. And it was totally my idea and I’m super proud. The day they showed up, I pushed them in every direction imaginable, and the only time I could even get them to budge was with a head-height kick from my Tae Kwon Do days––an even then, they moved up just half an inch. That’s the back, and the V-shaped center panel uses the standard rotation, making it horizontally stretchy, to accommodate variable hip widths. It’s just those leg cylinders that have the vertical grain, giving you exactly the stretch you need, right where you need it. Also, that horizontal seam at the base of the front pouch is offset just slightly from the bottom; by bringing it up just a bit, it means fabric will be stretched when you move your legs apart, rather than the seam itself. This is something I hadn’t quite thought of, thinking the seam could just go right in the middle to be out of the way; but seams aren’t nearly as stretchy as fabric, meaning the higher seam helps prevent each leg from pulling on the other when you step widely apart. This makes the front pouch a little shorter, meaning it’ll work better for guys who don’t need quite as much room, but it’ll work especially well for them. The height from the top of the waistband to the bottom seam of the front pouch (in a size medium) is 9.5 inches. Compare that to something you’ve got at home, and keep in mind a 3D front panel will feel like it’s offering more height than a flat panel, since it won’t be getting pulled every which way to make room. If you’ve never “hit” this seam when it’s sewn that far down, you’ll be fine. Half the reason I kept bothering Wool & Prince about all this was so I could use their fabric. Everyone knows merino is amazing, thanks to the temperature regulation, odor resistance, breathability, and naturally soft and cozy comfort. There is simply nothing like it out there, especially for long-term travel in variable weather conditions, worn over multiple days. But it’s not cheap, and it’s not very durable, either. You need a way to protect it. Wool & Prince have said the nylon wrap has solved the durability issues they’d typically see with regular merino, and you really want durability when it comes to underwear, given how much damage a thick jean seam can do to wispy fabrics. Aside from the added spandex, this is the same fabric as their t-shirts, which quickly became my favorite. Even after a few years, they still look brand new. 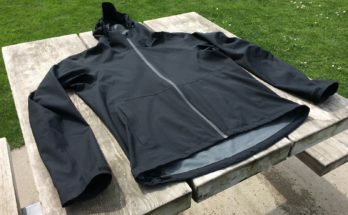 The high nylon content may seem like a lot, but I can’t really tell the difference between this and pure merino in terms of texture, and I much prefer the durability that comes from the nylon. They still feel soft, thanks to the superfine 17.5 micron fibers, and they’re just the right thickness to handle all sorts of weather. I wouldn’t have it any other way. See how there’s a whole “extra” size between what you’d get with other brands? That’ll make for a finer fit. I would say to get the size corresponding to your measurements, but if you’re on the fence, I would size down. It’ll keep everything in place quite nicely, as the regular size isn’t super compressive. It also means that if you’re just outside the upper limit of the XL…give ’em a try anyway. For the record, I wear a medium in Tommy John, a small in Saxx, and generally wear pants in a size 32, including from Bluffworks and Outlier (although occasionally a 33 or 34 in other brands), and the medium fits me quite nicely. It’s not quite a compression fit, but it’s not loose either. You might also notice those legs seem a bit longer than they did before, thanks to that vertical stretch. You might have to zoom in, but there are just fewer extra fabric folds on the small, since it has more of a compression fit this way. It was a little too tight for me (as I’m on the higher end of the medium range), but if you’re right on the fence, it works. Especially if you wear it for a couple days in a row, since natural fabrics have a tendency to expand over the course of a day. So did anything go wrong?! I’m happy to say that I’ve been really excited with how this turned out, and I wasn’t kidding when I said I wore them literally all day without touching them once. The feedback has been really great so far, and it was a lot of fun working with Mac (the owner) and Ellie (the designer) to see this come to life. If I had to say anything as a caveat, it would be how the slightly-shorter front pouch is going to work better for guys who don’t need a huge amount of room in front (read this article for a detailed explanation), as well as the tendency of natural fabrics to stretch out just a bit, especially if worn under scratchier fabrics. Still, it took wearing them for multiple days in a row for this to even start happening, and it was rarely noticeable even then––and, being merino, it’s going to be a bit of an investment, but that’s why we threw in the nylon. That said, I’ve been kind of overjoyed with how this all came together. I knew how good it could be from having worn a million competing alternatives, and I didn’t want to use any fabric aside from this one. Merino wool has a reputation that’s second to none, and it took making it ourselves to give it a fit that could do it justice. It’s right up there at the top with the best alternatives I’ve found, merino or otherwise, even after a decade-long continuous search, and I’m really excited to see it out there. If you want to check this out, take a look at Wool & Prince’s boxer briefs page. That’ll include the old and new versions, but I would definitely recommend this new one, currently labeled the 2.0. For the record, Wool & Prince has offered to provide me a share in the revenue from this product, but at a fixed amount, meaning there’s nothing in it for me to get more people to buy it. I’m just super happy with how it turned out, and I think you will be, too. If you pick these up, definitely come back here to let me know what you think. Previous Article Announcing my first-ever product collaboration! Reads like you did a great job, and a very good technical explanation of the thinking. Great advertising copy but alas, unless I get past The Donald’s wall, I won’t be in the States to try them – even at that price. The High Achievers’ dream shreddies! I will stick with the former Best Choice – the Uniqlo Airism, which I bought in UK for £5 a pair in the Uniqlo sale. 7 pairs for the price of one Wool and Prince. Nevertheless I would have loved to find out if they were worth it! This is the best underwear ever. I tried a lot of merino underwear brands: Smartwool, Icebreaker, TAD Gear, etc. But you guys nailed it with the 2.0. The leg stays down, it is comfortable and no stink. Lets see how they hold up. The other brands lasted about 50 washes. Thanks! I’ll be looking forward to long-term durability results as well, but I’m pretty optimistic that it’ll work longer than regular merino. It’s true, they’re not cheap. 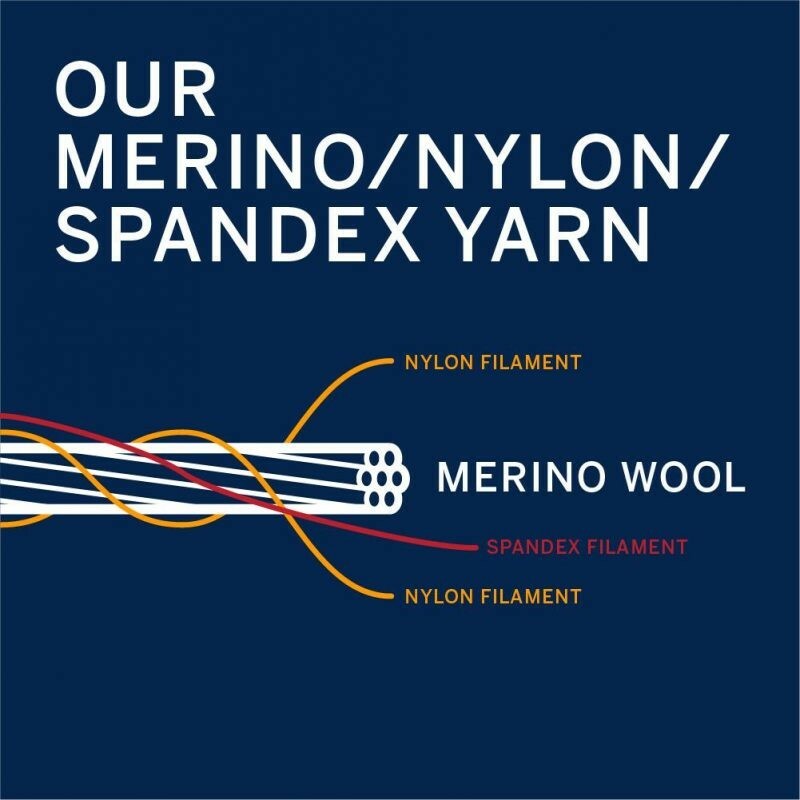 It’s merino, and it’s a small company, so it can’t be for everyone. That said, I’d rather have these out there in the world than not at all. I own a pair and they are amazing, will definitely be buying more pairs and getting rid of what I already have. Great job w the collaboration. Thank you! I was pretty excited with how they turned out, and I’m glad you like them too. Do you know if there is a way to get wool and prince stuff in europe without having to deal with international shipping and the customs/taxes etc that comes with that? So far, I think that you haven’t been wrong about any recommendations that I tried, so I’m considering these. Not having the extra hassle involved in ordering from the us would be nice though. International shipping can get pretty expensive, which is why American companies eventually add a European distribution network of some kind, once they get big enough. If they keep succeeding, I expect they’ll do it eventually. Otherwise…it’s tricky. I asked the same question to W&P a few months ago, they said that they are planning to ship directly from Europe at some time in 2019. Try to get in touch and ask them. As most of the best travel gear I could find is produced in the US, I am using a mail forwarding service called Vyking ship to get everything delivered to a US-based address, then they would consolidate it all for me and ship it as one single item. There’s others companies as well doing the same, I like VS because they hold your stuff for 6 months for free. You still have to pay customs but at least only once instead of several times. I live in Germany and they told me there’s an option to use DHL so you can pay customs in advance to avoid all the bureaucracy. Looking forward to try these, finding the right underwear should not be so difficult. Once this problem gets solved, we can then work on the next one: Japanese-style WCs should not exist in Japan only. That’s a genius idea, and I think it’s a great business move. Check out Seagale. They’re French, so I think your EU customs union will make it easier to purchase from them than to buy American. On the subject of pricey under tats, I searched fruitlessly for a review on these, which thanks to our friends in Canada are available in UK. I think those are just a rebranded Ex Officio, perhaps with different fabric. Duluth Trading Company does the same thing, but I can’t stand the Ex Officio design, even though it’s extremely popular. I think people just haven’t tried anything else. Ex Officio makes another version I like better than the original, though. after trying out numerous other brands based on your earlier posts I determined that SAXX are the answer to everything. How does this compare. I am a shower, not grower. So that 9.5″ from the top of the waistband to the front panel’s lower (horizontal) seam is going to be the only potential issue. Saxx gives you lots of room in the pouch, which is why it works well for “showers,” although the Wool & Prince isn’t super tight. Measure yourself while wearing a pair of boxer briefs to see how much vertical height you would need before you hit that seam. It’s not super tight, so I think there’s a good chance it’ll work out fine. How does this underwear compares to Mack Weldon’s AirknitX? I actually like the AirknitX a lot, as it provides super vertical stretch (just because of the way it’s knit together, and the spandex). The only complain I have with it is how the front pouch is quite small, and doesn’t protrude forward all that much. This means there’s the possibility of “escaping” into the leg chamber. The Wool & Prince has more of a forward-protruding pouch, so it holds things in place a little better, I would say. Also the legs are longer, and it looks just right that way. So if you are a “show-er” would your recommend against these? I love the SAXX ones that I picked up on your recommendation but the Airisms are just no good at keeping things in their proper place. I think I responded to this same question elsewhere, but it’s the 9.5″ vertical height from the top of the waistband to the horizontal seam at the base of the front pouch that’s going to be worth measuring. Check out how much room you need by wearing a pair of boxer briefs, and see if it’s within that range. Thanks for the reply. I’ll give them a try. I got a pair, and they’re great except for the most important part. :-) Everything you say about the legs, back, sides was right on, and the fabric is nice. They stayed in place and didn’t bunch up. In the all-important “front” area, though, I found them disappointing. No support! It felt like it was an old-school no-3d pouch, and “escape” was a problem. Hmm…I’m sorry to hear about it, but I do appreciate the feedback…and it might…MIGHT be worth trying a smaller size. They have a size guarantee, and the sizes are so close together that a smaller size might just work out.